The island offers unique attractions, well known worldwide. The amazing blue watered Grotta Azzurra or the Faraglioni, the eternal guardians of the island. Marina Piccola, where going down its little stairs you will reach the beach and the Scoglio delle Sirene where, according to the legend, the Sirens who enchanted Ulysses would live and Marina Grande, the island’s largest beach. There is so much history in Capri and you can not avoid living it back and immersing in the unique atmosphere of Damecuta, the ancient residence of the emperor Tiberius, or the Gardens of Augustus and Via Krupp. In the evening you can choose the “piazetta” , a famous meeting place and a true open air living room or to get lost in the streets of Anacapri and its colorful squares . 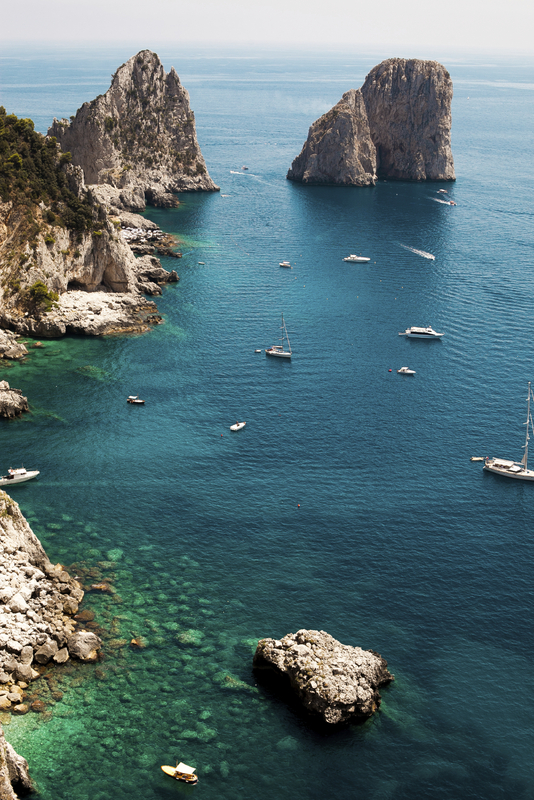 Last but not least you can’t say that you have really visited capri Capri unless you have seen it from the sea. 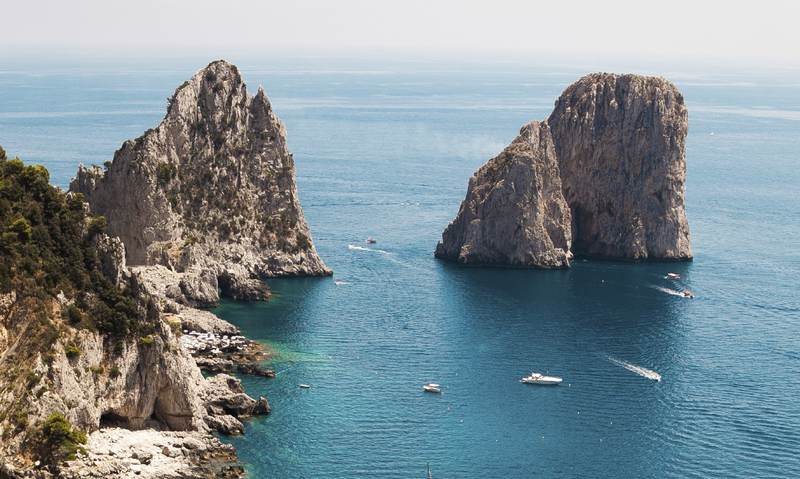 Book a tour or rent a boat and enjoy a unique view of the rugged coastline, the caves and coves of the island : the true jewel of the Gulf of Naples.